At the heart of our real estate platform lies our CRM system. With Profusion360, you’ll be generating leads from your real estate website, property search, lead capturing forms, landing pages, virtual tours, property websites, social media, and other sources including Zillow, Trulia, and more. 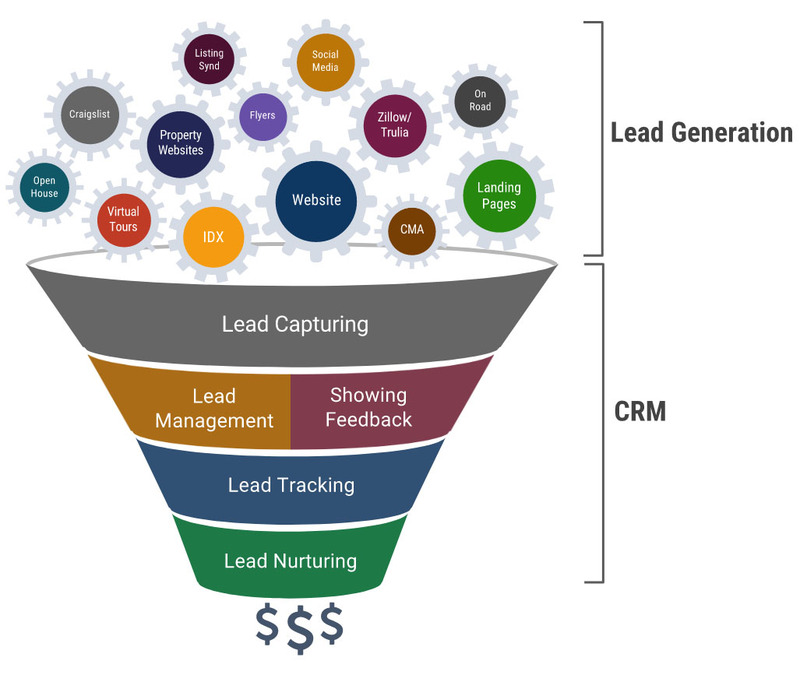 Our platform funnels these leads into our CRM system which captures the lead and gives you the tools to manage and nurture your leads to closing. With our automatic drip email follow-up system, you’ll be able to nurture all of your leads for months or more. This allows you to generate a healthy sales pipeline you need to provide a constant flow of sales to grow your real estate business. Our CRM system fully supports your real estate website, landing pages, and all your listing marketing including virtual tours and property websites and sits on one platform for seamless integration. Any inquiries submitted from any of these sources such as requesting more information on a property or creating an account on your website are captured as leads into our CRM system and you are immediately notified so you may take the required immediate action. With a tight integration between our real estate websites and CRM system, we take it a step further. 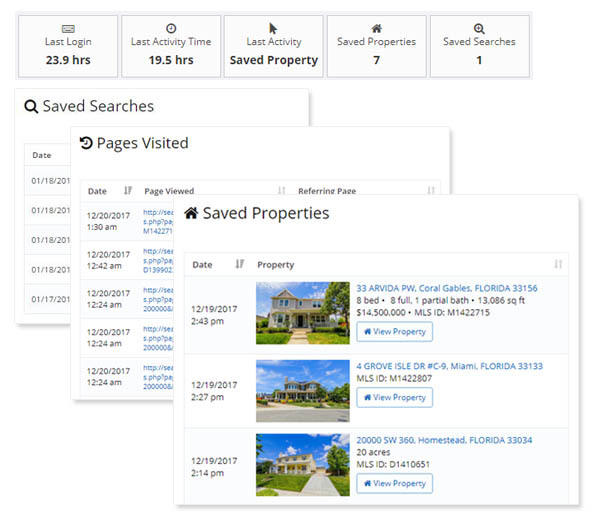 You’ll be able to track your client’s activities such as saved searches, saved properties, and viewed pages giving you more insight and enabling you to respond more effectively. Any leads generated from other sources such as Zillow, Trulia, realtor.com, and Homes.com are automatically captured into our CRM system. 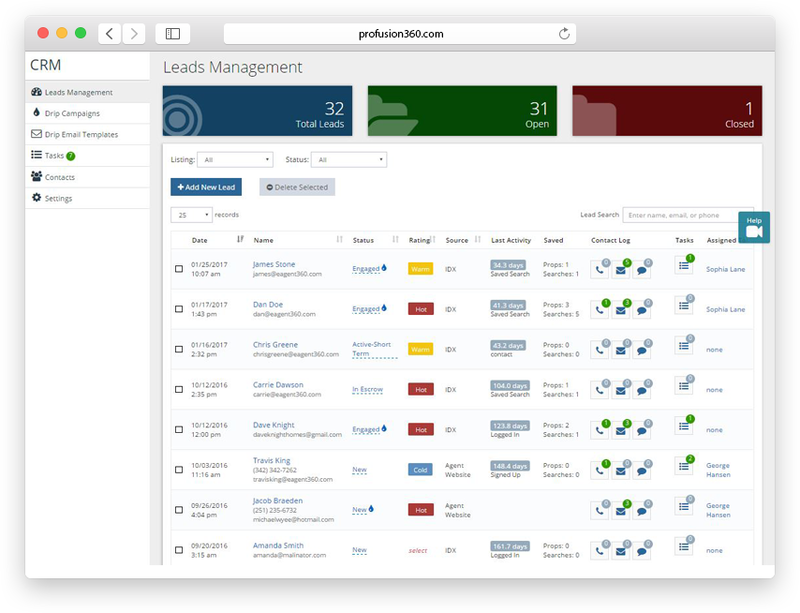 Now you can manage all your leads from one place and utilize our lead management and lead nurturing tools such as drip email and listings by email to close more leads. Every lead you get is very important. 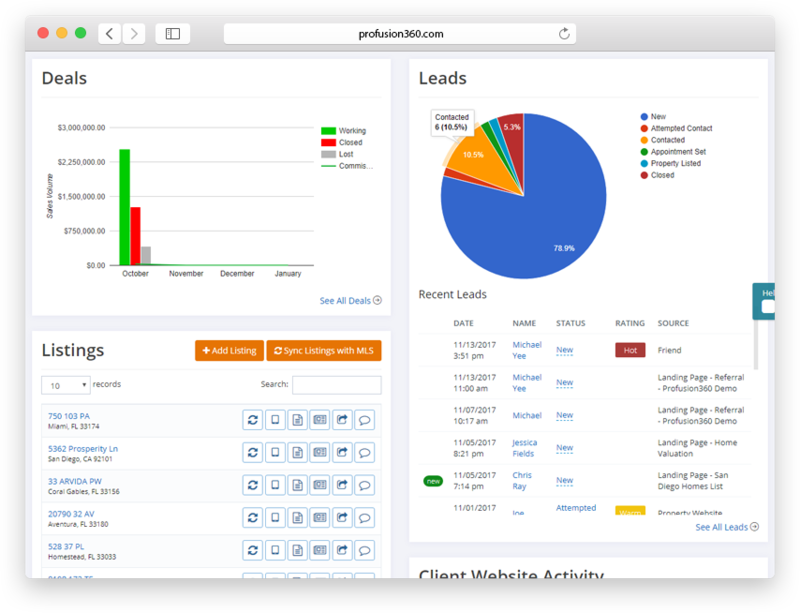 With our lead management tools, your leads will be organized so you’ll make sure that no lead is forgotten. Nurturing your leads is one of the most important factors to growing your business. Staying in contact with all your leads including long-term prospects is vital in creating a sales pipeline. If you don’t have a system in place to do this, it would be very time consuming. 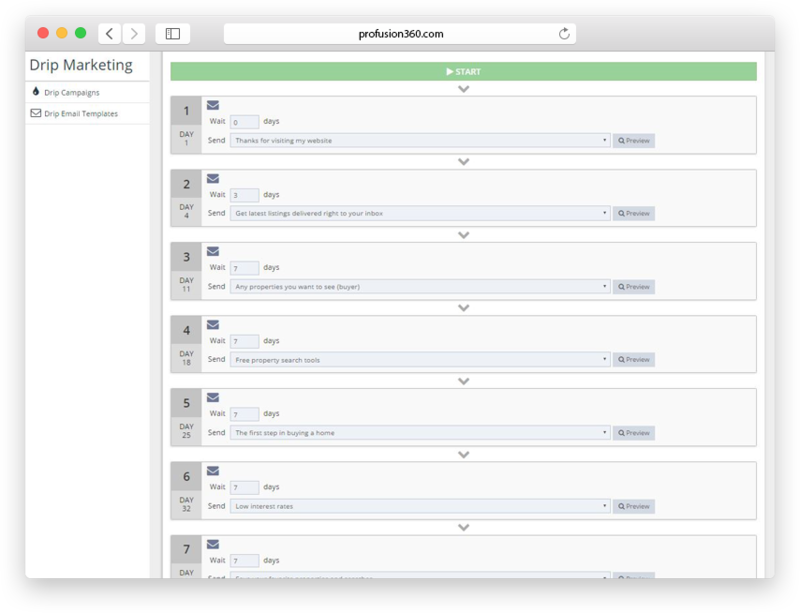 With Profusion360’s drip email marketing, you’ll be able to stay in contact with your leads and still focus on generating new business. Our automatic follow-up system will stay in touch with your prospects for months or more without you having to spend a minute. This will build your pipeline and generate a constant flow of sales that you’ll need to grow your real estate business. With Deals Management, you and your agent team members can enter potential deals for each lead. This allows you to know what’s in your sales pipeline and forecast sales for every month. You’ll also be able to track the status of each deal with probability of closing, when the deal closes, sales price, and commission received. With our Team & Office Solution, you can have your leads automatically assigned to your real estate agents. 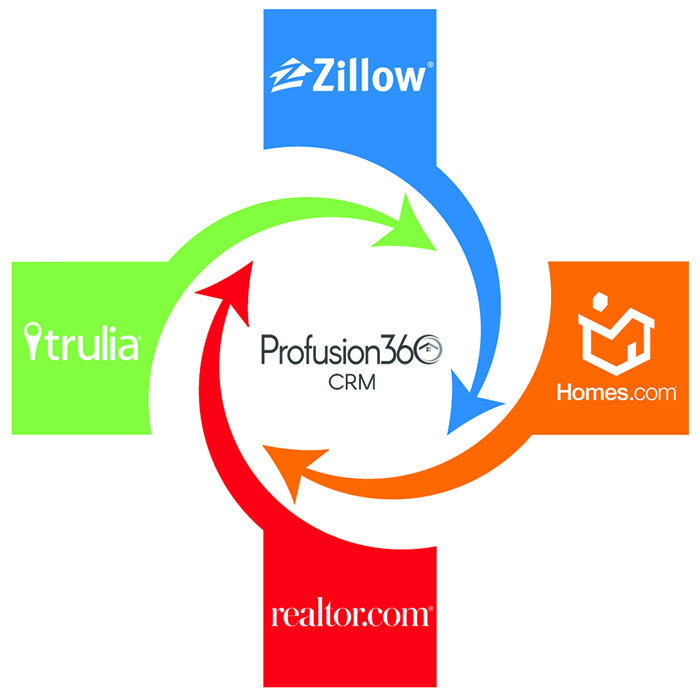 Profusion360’s CRM system will capture all your leads and automatically assign it to the next real estate agent on your round robin list. Your round robin list is easily managed by our interactive drag and drop interface. Simply drop your real estate agents into your round robin list and drag them into the preferred order. As a busy real estate professional, it can be hard to remember everything you need to do with your leads. Following up properly can be the difference between closing a lead and losing a lead. 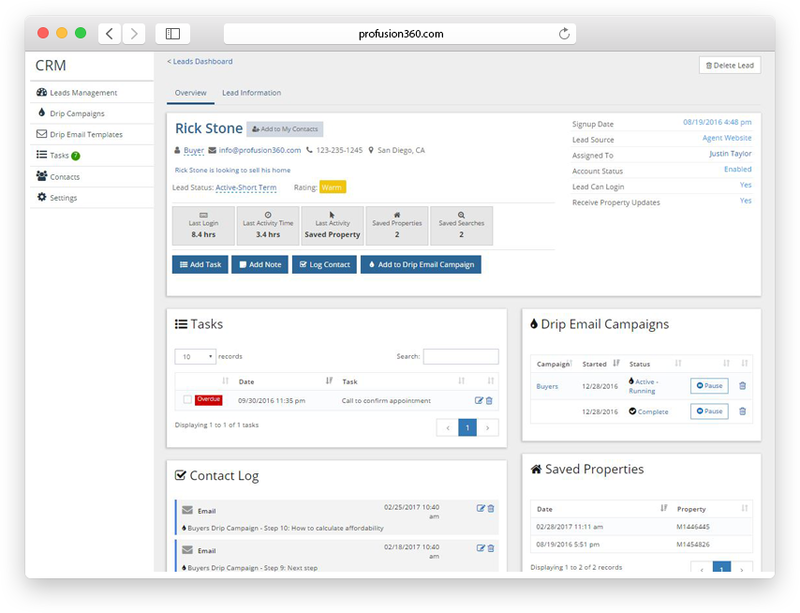 With Profusion360’s real estate CRM system, you’ll be able to create tasks, whether you need to call, text message, or email your lead at a specific date and time. 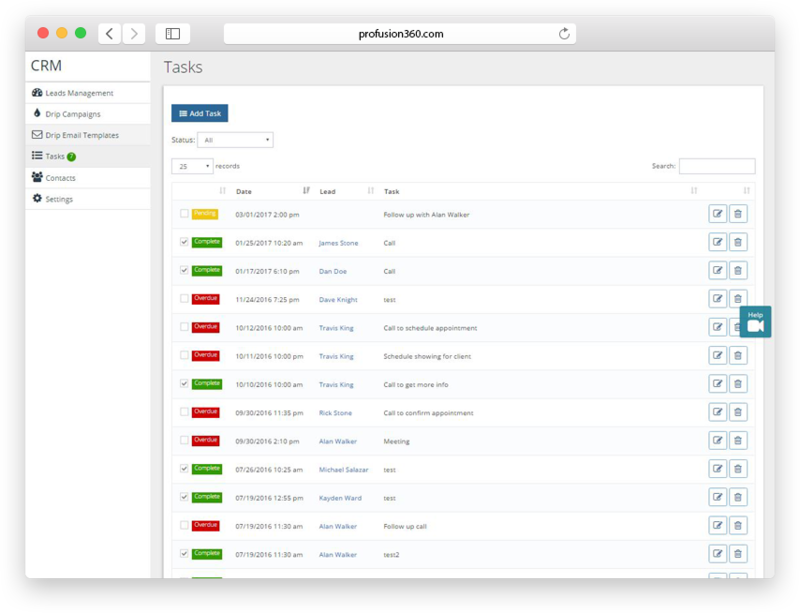 Our system will send you a reminder when you have an upcoming task so all you are following up on your leads properly. Anytime your lead saves properties or saves searches on your website, this information is captured in our system and you’ll be notified by email and text message notification so you can followup immediately. Knowing what properties your clients are looking at, or what searches they are performing, enables you to followup properly. With our real estate CRM system, you’ll also know when your clients login to their account and their last activity so you know who is actively searching. 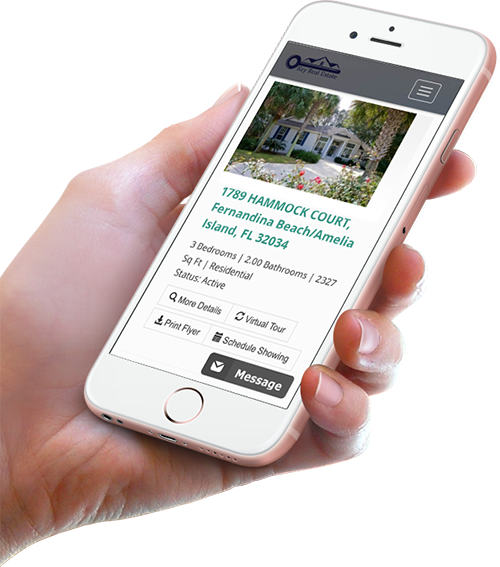 Combining our IDX with our real estate CRM system creates an effective and automated listings followup system that’s another vital component in generating your sales pipleline. Sending all your clients the latest listings daily is practically impossible. With our CRM system, the latest listings based on your client’s search criteria will automatically be emailed to them on a daily basis. They’ll get the latest listing right in their inbox and will simply contact you when they are interested in a listing. Questions about our Real Estate CRM System?